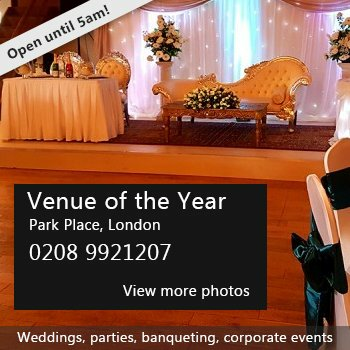 •	Weddings, Wedding Ceremony, Renewal of Wedding Vows, Wedding Anniversary, Engagement, Pre-Wedding Celebrations, Mendi, Silver Anniversary, Gold Anniversary. •	Parties, Birthdays, Milestone Birthdays, Baby First Birthday, Baby Shower, Kids Birthday, Puberty Ceremony, Reunion. •	Funerals Wake, Celebration of Life. •	Conferences, Award Ceremonies, Corporate Events, Seminars. •	Training, Fitness Classes, Yoga Classes. •	Church meetings, Christening, First Communion, Religious Event, Prayer Meetings. •	Other meetings: Society Meetings, Club Meetings, Schools Choirs, Schools Prom. •	Christmas Parties, Christmas Meals, Company Christmas Parties. 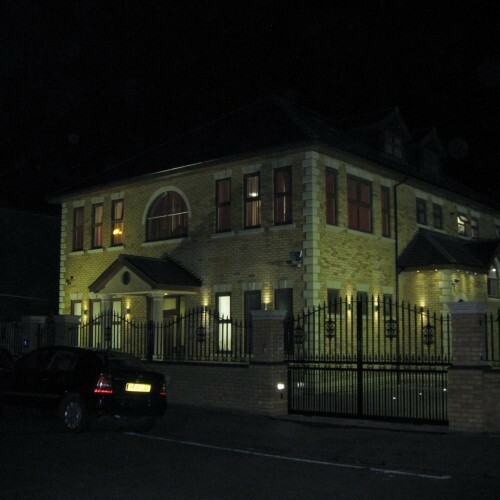 The building is spacious, double glazed, sound proof, air conditioned and wheelchair accessible. We have a large patio which allows for the installation of marquees and bouncing castles. We offer projection screen, TV and Disco Lights. The premise is secured by iron gates. Our Hall benefits from a fully equipped commercial kitchen with large cooker, double oven, fridge, freezer, trolleys, urn. The kitchen is for heating up and serving food but your caterers can also hire it if they wish to cook on site during your hired time. We provide dining tables and chairs and you are allowed to serve alcohol. The capacity of the hall is 120 / 150 people and our opening hours are Monday to Saturday from 9am - 11pm / Sundays and Bank Holiday from 9am - 10:30pm. 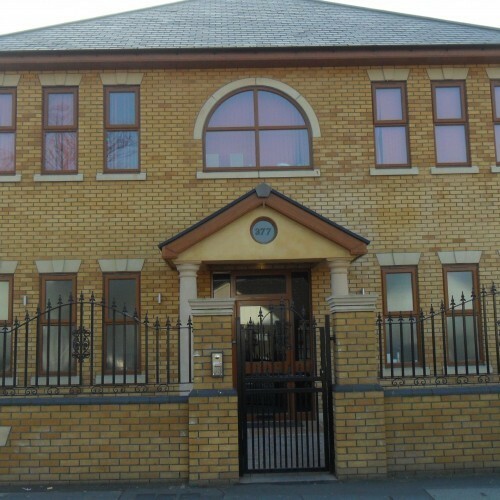 Situated just a few minutes from Thornton Heath train station, a convenient and easily accessible location with disabled parking and with plenty of on the road unrestricted parking. Bensham Lane is on the corner with Brigstock Road (Opposite to Thornton Heath Library) and it is served by the 250, 450 and 198 buses. 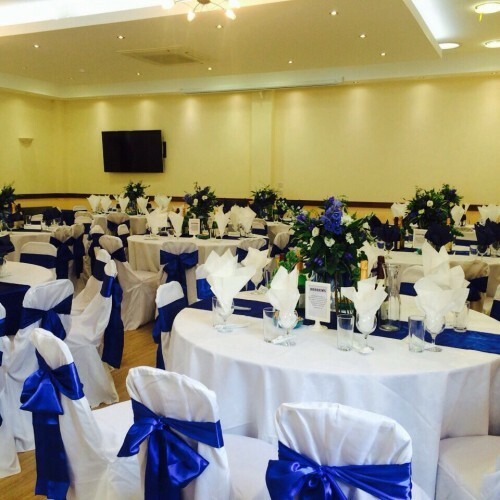 Keeping cost down when organising an event can be difficult. Bensham Hall rates are sensitive to budgets and very good value for money. You are welcome to visit Bensham Hall from Monday to Friday - 9am - 4pm. If that does not suit you, please ring for an appointment. We wish you all the very best on the planning of your event. 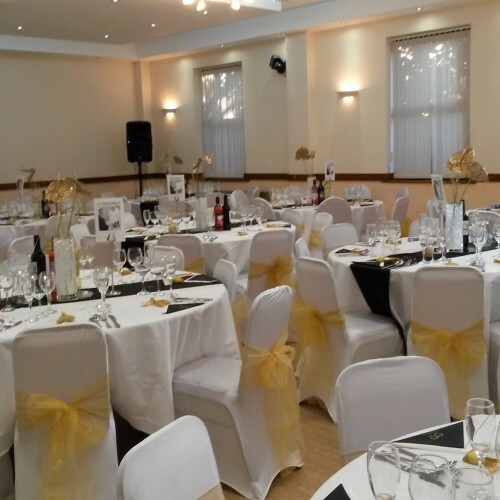 Availability: Bensham Hall is available for hire from Monday to Saturday 9am to 11pm. Sunday and Bank Holiday: From 9am to 10:30pm. Hire Costs: Keeping costs down when organising an event can be difficult. Bensham Hall rates are sensitive to budgets and very good value for money. As one of our customers put it "worth every penny". Hourly rate is Sunday to Friday: £75.00 - Saturday: £85.00. We have a discounted price of Sunday to Friday: £900.00 and Saturday: £1,000.00 for the whole day. Extra charge of £30.00 is made for the collection of rubbish (for a maximum of 20 bags). Not included in the price: Use of the kitchen for cooking from raw, disco lights, use of TV/Projection screen. There have been 5 reviews of Bensham Hall. I organised a corporate event for staff and family members for raising awareness on Safeguarding the Vulnerable Adults. In conjunction with the local council and other business partners in the community, the objectives were met. I chose Bensham Hall again because of its location and facilities i.e., free parking on the side road, air conditioning, TV, wall screen for power point presentation, kitchen , chairs and table. What amazes me, is every time i go there, the hall is always clean . Keep up the good job " S.A. Superb facilities we held our wedding reception here and a fantastic time was had by all. 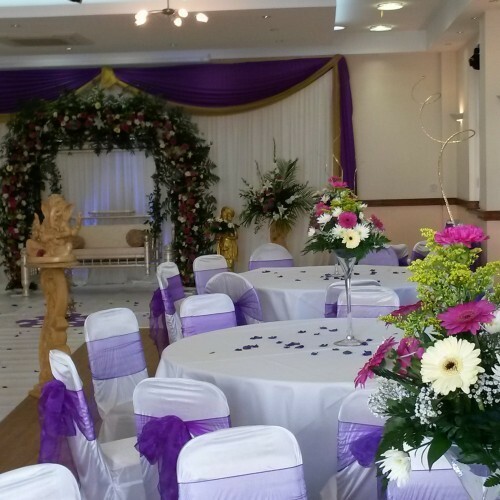 We would highly recommend to anyone to hire Bensham Hall. My brother wanted to book this hall for my niece's christening party. The owner was extremely rude and offensive wanting to ensure that if he does allow my brother the "opportunity" to hire the hall he "controls" his crowd when leaving. My brother decided to pay an extra Â£100 to have the party elsewhere. I would rather host a party at a bus stop then give that man my money. I've been to a party there before and the person who paid for the hall had the same complaint about the owner. On the whole, hall was reasonable clean and spacious, however the person in charge is very stingy and not very pleasant to deal with. If you would like to send Bensham Hall a booking enquiry, please fill in the form below and click 'send'. Perhaps some of the following halls within 5 miles of Bensham Hall would also be of interest?